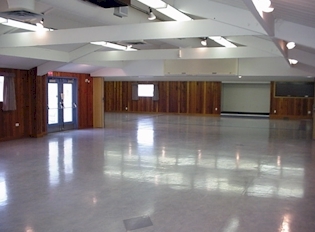 Our Main Hall is a popular hall for weddings, banquets or larger community gatherings and can accommodate up to 180 people depending on the event. 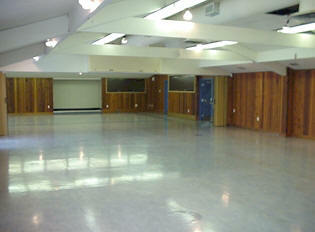 It is 283 square meters with a spring-form dance floor and a space for a deejay. 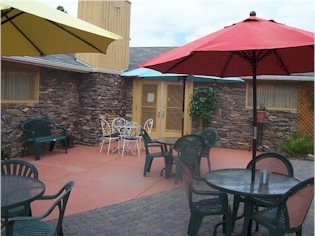 There is access to an outdoor patio area. 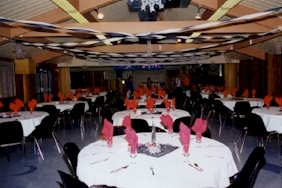 Linens can be rented through the Centre. 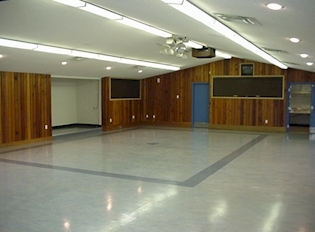 Rental includes the use of tables and chairs. 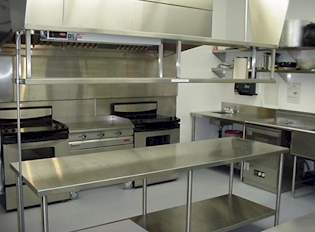 Also available for rent is a full kitchen which includes 2 stoves, a commercial dishwasher, 2 microwave ovens, industrial fridge, 100-cup coffee urn, dishes and cutlery. 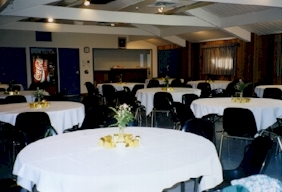 The Glamorgan Community Association provides a cash bar service for all events. This includes all supplies, bartender and license. 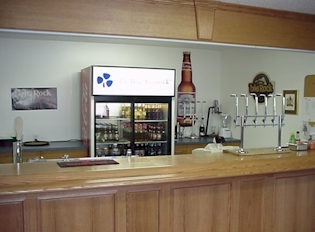 Bar services can be provided for both the Main Hall and Seminar Room. 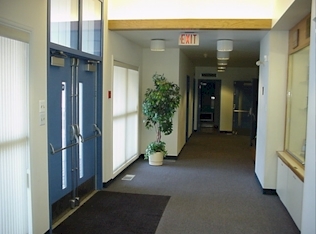 There are a number of ways a bar can be operated. 1. Host Bar - Host pays for all drinks. 2. 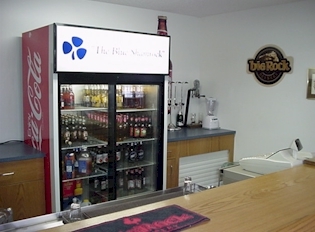 Toonie Bar - Guests pay $2 per drink, host pays balance of bar tab. Drinks range from $4.25 to $5.75 each. 3. 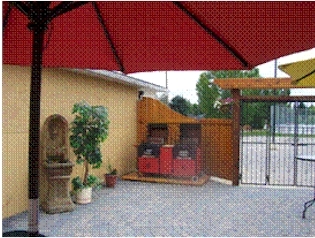 Cash Bar - Guests pay entire drink price. 4. Combination of $2 bar, cash bar or host bar or pre-paid tickets (please ask for details).